Home Depot and JAG Plumbing Products bring Canadian Customers the best NON-OEM replacement and repair parts available in Canada: - Repair your MOEN* Brand Faucets with ease. Replacement Rebuild kit for MOEN Kitchen Faucet: Refer to image for match . JAG Plumbing Products strives to bring customers the best products in Canada and make them available on the best online shopping platform: Homedepot.ca - Owned and Operated in Ajax, Ontario, Canada, JAG PLUMBING prides itself on offering Home Depot Customers durable, high quality, non OEM replacement plumbing parts. 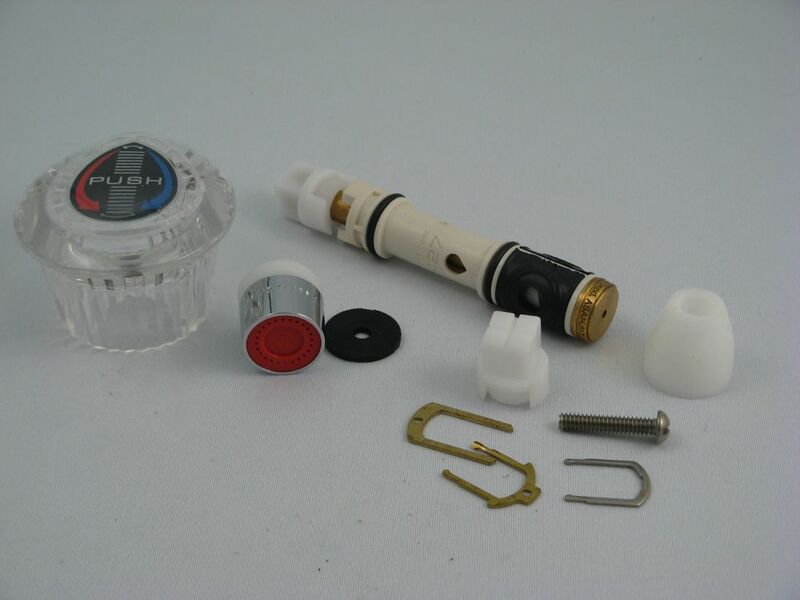 Rebuild kit for "Price Pfister Marquis" Lavatory or Kitchen Faucet: Refer to image for match . JAG Plumbing Products strives to bring customers the best products in Canada and make them available on the best online shopping platform: Homedepot.ca - Owned and Operated in Ajax, Ontario, Canada, JAG PLUMBING prides itself on offering Home Depot Customers durable, high quality, non OEM replacement plumbing parts. Repair Kit With Cartridges And Parts That Can Repair The MOEN* Branded POSI-CLOSE* Style Faucets Home Depot and JAG Plumbing Products bring Canadian Customers the best NON-OEM replacement and repair parts available in Canada: - Repair your MOEN* Brand Faucets with ease. Repair Kit With Cartridges And Parts That Can Repair The MOEN* Branded POSI-CLOSE* Style Faucets is rated 4.0 out of 5 by 1. Rated 4 out of 5 by Oliver from POSI-CLOSE means it shuts off when you release it For those who, like me, don’t know what POSI-CLOSE means, it means it shuts off when you release it. Push to turn on. The aerator is a low volume spray. When I bought it the Home Depot web site didn’t have a description. This review is Intended to be the missing description. I haven’t used the cartridge as it wasn’t what I really wanted. I did use some of the other bits.